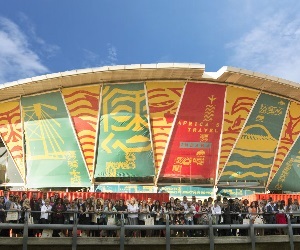 Criteria to Exhibit are set by South African Tourism to ensure that products showcased at the exhibition are of the highest quality and broadly representative. If you are considering sharing your space with other complimentary products, be sure to read through Managing Sharing Exhibitors. It is the responsibility of main stand holder to ensure that all requirements are met for those products on their stand. Rates Schedule and Options available – we have some exciting booth options for Africa’s Travel Indaba in order to maximise your participation. Floor Plans - the floor plans are available for you to view and accept your stand placement upon confirmation of exhibitor applications. In order to maximize your participation, please clearly specify your stand request on your application. Invoice Details – invoicing contact and payment deadlines. Stand Requirements – size, dimensions, location, and optional (excl. 9m² stands) shell scheme package. 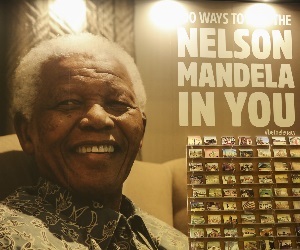 This is used as a guide when placing exhibitors as requested space at Africa’s Travel Indaba is not always guaranteed. Participation Information – this is required to support your application and submission to exhibit. 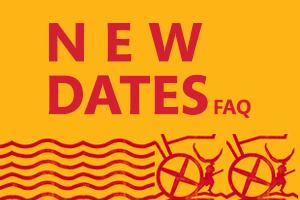 Comments – address your concerns or requests to the Organisers or the Selection committee. Please complete each section thoroughly to assist the selection committee in meeting your requirements where possible. 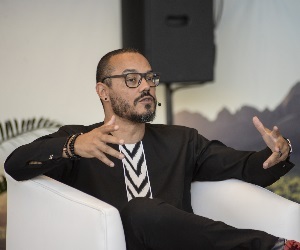 Main stand holders will only be able to add their sharing exhibitors in their Exhibitor Zone once the main stand holder's contract has been signed and their status on the Africa’s Travel Indaba website reflects confirmed. Please note main exhibitors are required to list all their sharing partners on the Africa’s Travel Indaba website before sharing partners can complete their individual applications. Please note all sharing companies are also required to be part of the travel and tourism trade industry to qualify. In order to ensure the calibre and relevance of the sharing exhibitor, a strict set of criteria has to be met before approval for participation is granted. Each sharing exhibitor added will be at a cost or ZAR 1 105.00 (including VAT) to the Main Exhibitor. All applications will go through a selection process. 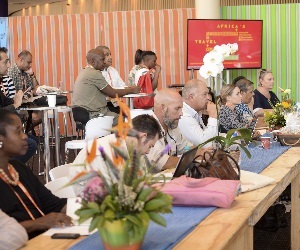 South African Tourism appoints a Selection Committee, comprising of industry representatives and provincial authorities, to review and accredit applications received. This is to ensure fair and equal representation of the many tourism products offered by our country. All applicants must fulfil the following basic criteria to participate at Africa’s Travel Indaba. 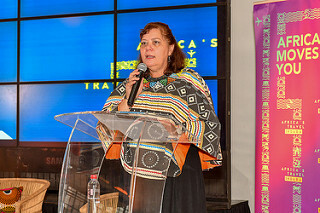 The applicant must be debt free to South African Tourism and Synergy Business Events (Pty) Ltd.
Due to the fact that Africa’s Travel Indaba is aimed at the International Buyer, the applicant must have an international marketing plan as well as a valid brochure and STO (Standard Tour Operator), Rack and Net rates which the Selection Committee reserves the right to view on request. The applicant must belong to at least one of the accredited tourism associations or their local tourism bureau. The applicant must have the necessary trade licenses, tourist guide registrations and passenger and or public liability insurance, which the selection committee reserves the right to review on request. The applicant must be a registered South African taxpayer, if operating from South-Africa. This category of exhibitor submits an application for his / her OWN stand. Main stand holders may choose to “share”, co-exhibit or allocate parts of the total space booked to complimentary products. Each sharing exhibitor added will be at a cost of ZAR 1 105.00 (including VAT) to the main exhibitor. Applicants may choose to have an indoor stand as well as an outdoor exhibit OR one or the other. Please note there are certain space restrictions if taking both options. Sharing exhibitors may NOT apply directly with the organisers on the website. They must make arrangements with the main stand holder and complete their applications. 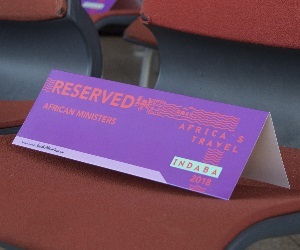 The main stand holder is then to go to the Africa’s Travel Indaba website and add sharing exhibitors that they have elected to participate on their stand. Main stand holders must add their sharing exhibitors' names on their application once the main stand holder's space has been confirmed. All sharing exhibitor applications need to be completed online by the contact person listed by the main stand holder once they have been added by the main stand holder. In order to ensure the calibre and relevance of the sharing exhibitor, a strict set of criteria has to be met before approval for participation is granted. 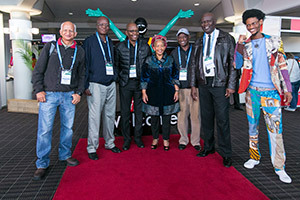 The sharing exhibitor must be debt free to South African Tourism and Synergy Business Events (Pty) Ltd.
HDI's include all individuals who were discriminated against in South Africa, in terms of legislation or practice, before the first democratic election that took place in 1994 and includes black, coloured, Indian, disabled and all female people in South Africa. All first time HDI’s must apply to their local Provincial Tourism Authority directly. 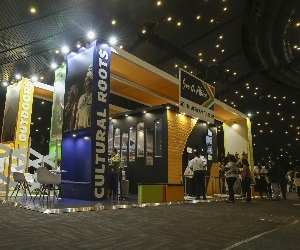 HDI's / SMME's, who have exhibited at Africa’s Travel Indaba before and wish to apply for their own stand, may do so. 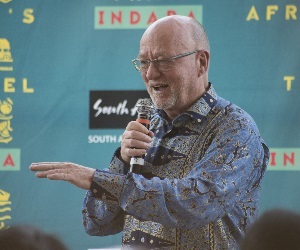 South African Tourism invites members throughout Africa to participate at Africa’s Travel Indaba. Each African exhibitor must be based in Africa with an office in one of the African countries. Placement and stand allocation will be done on a first come, first placement basis. No individual stands will be granted to individual products, unless the company operates across a number of countries. This will still be dependent on space availability. 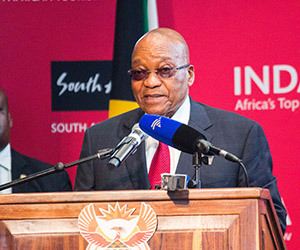 African countries may be restricted to space allocations at the discretion of South African Tourism pending demand for space from local products. 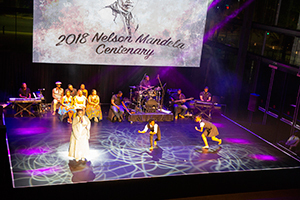 Museums, Media Publications and Publicity Associations must exhibit with their Local Government Tourism Associations or companies they are affiliated with. Every effort will be made to meet the requirements of each applicant but please be aware that this is not always possible due to space restrictions. Further to this, stand locations on the floor plan cannot be guaranteed. 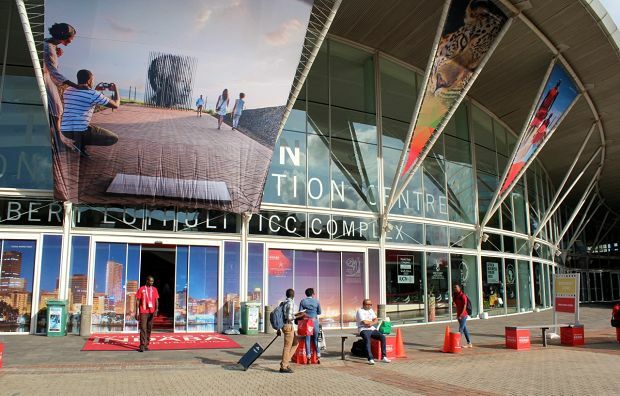 South African Tourism together with the National Selection Committee reserve the right to place stands at their discretion for the benefit of the exhibition as a whole. Ensure that each sharing exhibitor is added (correctly) on to his / her application form individually. It is the main stand holder's responsibility to ensure that each sharing exhibitor added has completed their registration / application form. The main stand holder is liable to pay the sharing registration fee of ZAR 1 105.00 (including VAT) per sharing exhibitor. Communicate stand participation details and costs to their sharing product where applicable. Complete all the service forms pertaining to their stand. Allocate the allowed number of name badges to all their sharing representatives at their discretion. 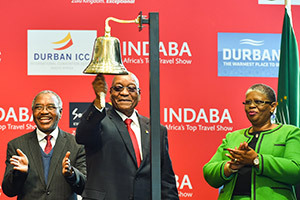 Ensure that all information relating to Africa’s Travel Indaba is communicated to their sharing products. Take full responsibility for the requirements of their sharing product. Sharing exhibitors need to negotiate the cost of their participation with their main stand holder and all payments must be made directly to the main stand holder. The main stand holder will be invoiced for all their sharing exhibitors' requirements i.e. name badges and services. Standard Exhibitor listing on the Africa’s Travel Indaba website. Copy of the Africa’s Travel Indaba Trade Catalogue. 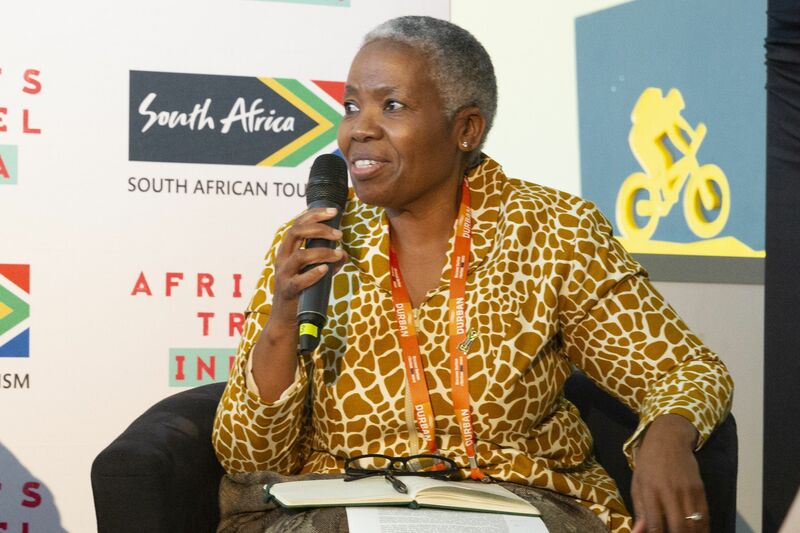 Access to the Exhibitor Zone on the Africa’s Travel Indaba website for downloading of necessary documents and information pertinent to participation. Online diary for facilitating appointment bookings. Added to Africa’s Travel Indaba Exhibitor database to receive all newsflashes and event communications. Main stand holders will be invoiced for all registered sharing products requiring the above services and not the individual sharing company. Invoices will be issued upon receipt of a signed contract. Invoices will be emailed in PDF format from our accounts department. An original copy of the invoice will also be posted to all confirmed main stand holders on request. Should you have any queries regarding these payment terms please do not hesitate to contact Chantelle Ndlovu at Synergy Business Events (Pty) Ltd on accounts@indaba-southafrica.co.za or +27 11 476 5104. 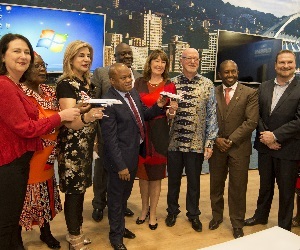 All payments are to be made to Synergy Business Events (Pty) Ltd trading as South African Tourism Exhibitions. Credit Card payments will be accepted. A form will be made available at time of confirmation for easy processing. 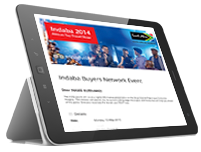 Queries on invoicing and payments can be directed to Chantelle Ndlovu on accounts@indaba-southafrica.co.za.